Towards the end of the Ottoman Empire, in the 19th Century, the Westernization movement was powerful. For the Ottoman people who lived in Istanbul Old City, “Europe” was in the northern bank of the Golden Horn. Life quality in the other part of the city surpassed the Historical Peninsula after Ottoman Sultan Abdulmecid left Topkapı Palace in 1856 and moved into Dolmabahce Palace, which was built in the western architectural style. While Muslim population in the Historical Peninsula was living a modest and conservative life, Pera (Beyoglu) quarter was regarded as Paris of the East due to parties, balls and art events held there. In this period, luxurious hotels like Pera Palace, gorgeous mansions and banks were built and elegant shops & restaurants opened. The cultural richness of this period can best be seen in Grand Rue De Pera, today known as Istiklal Avenue. Beautiful consulate buildings, mansions, hotels and restaurants are still there. Pera began to be occupied by foreign settlers. Italian, French, Orthodox Greek, Armenian and Jewish people settled there. Eventually Istanbulites began to call the “Pera” as Constantinople due to its western lifestyle. “Dolma” means filled or stuffed and “Bahçe” means garden in Turkish lenguage. The site of the Dolmabahçe Palace was obtained by filling the small bay on the Bosphorus giving the palace its name. Chief architect Garabet Balyan managed to combine the Oriental and European styles. The lifestyle and protocol were Oriental but the architectural plan was taken from European palaces. Balyan also combined various architectural styles forming the eclectic architectural outcome. Imperial Dolmabahçe Palace consists of 285 rooms and 46 halls. The massive building covers an area of 25 hectares / 62 acres. There are nearly 600 unique paintings and very beautiful huge Turkish carpets specially woven for this elegant court. The palace’s equipment implemented the highest technical standards of its age. Gas lighting and water-closets were imported from Great Britain, whereas the palaces in Europe were still lacking these features at that time. Later, electricity, a central heating system and an elevator were installed. During the Turkish Republic time, the palace was used for foreign statesmen and democratic cultural activities. 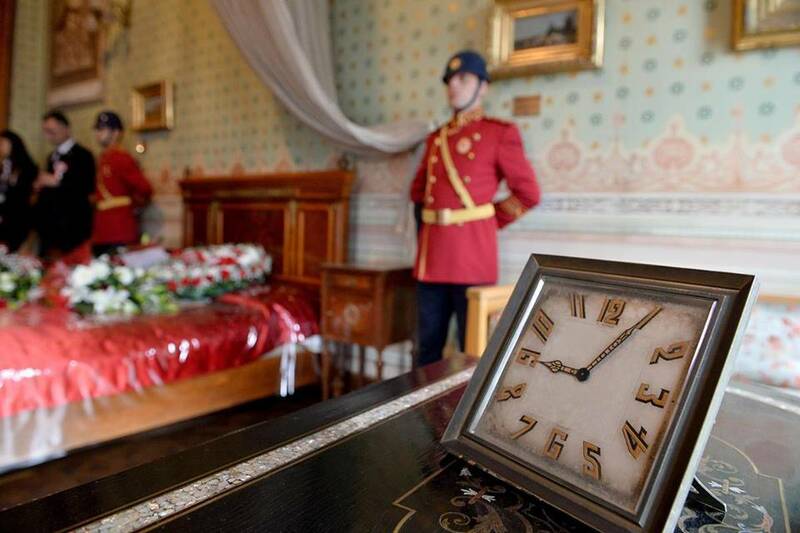 Founder of the nation, Mustafa Kemal Ataturk, occupied a room at the palace on his visits to Istanbul and died there in 1938. His room is visited by millions of Turkish people annually. The construction of the palace was at a time when the economy of the Ottoman Empire was not at all good. This difficult situation was not taken into consideration while construction. The materials used at the palace were very expensive and imported from different countries. Among the valuable items were vases from Sévres, Lyon silk, Baccarat crystals, English candelabra, Venetian glasses, German and Czech Bohemian chandeliers and furniture in the rococo style. 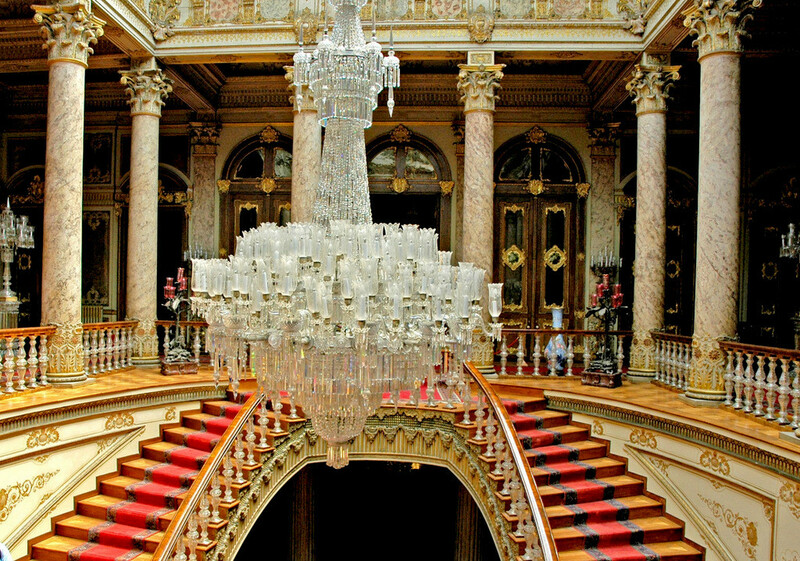 The reception hall with its five and a half-ton English chandelier, the hamam and the crystal banisters are of outstanding importance in the palace. The Dolmabahçe Palace is an impressive building facing the sea with very high walls on the side facing inland. The main building is surrounded by magnificent palace gardens. There are nine gates on the inland side, two of which are monumental. On the front facing the sea there are five gates. The palace was intended to be symmetrical in plan and decoration which was not something new. However with this palace the focal point is the sea. The building was constructed to be seen from the sea and it is this feature which is new and unique in Ottoman Architecture. Admission fee for a regular palace visit is 60 Turkish Lira. Harem Section entrance cost is 40 TL. There is combined ticket for Palace, Harem, Clock Museum everything included 90 TL. 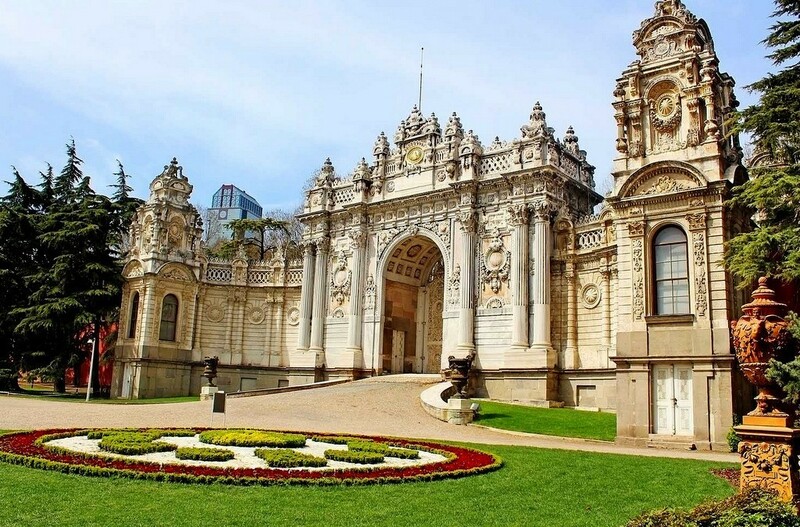 Dolmabahce Palace is open to visit from 9:00 a.m. to 4:30 p.m. Please note that Dolmabahçe Palace is closed on Mondays and Thursdays. Dolmabahce Palace With Istanbul Museum Pass Card? 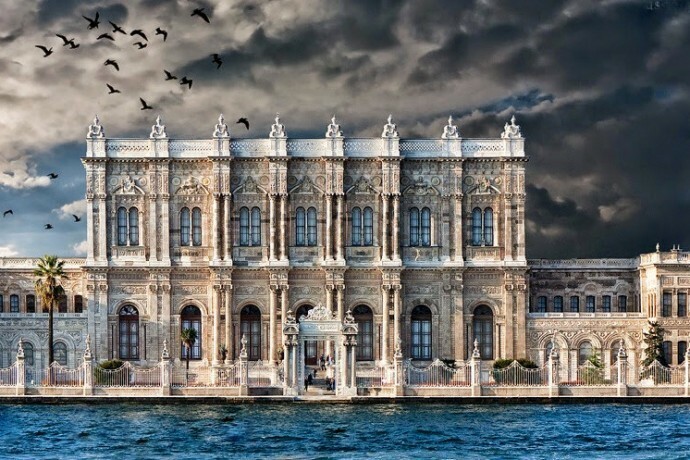 Istanbul Museum Pass is not used for Dolmabahce Palace. 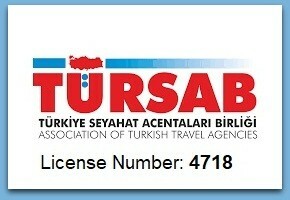 The Museum Pass is a product of Turkish Culture & Tourism Ministry. It’s used for many museums in Istanbul except for Dolmabahce Palace, Beylerbeyi Palace, Basilica Cistern and Galata Tower. 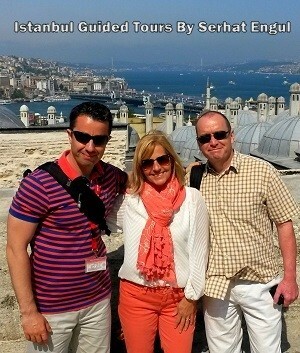 If you would like to check the full list please read Istanbul Museum Pass article. 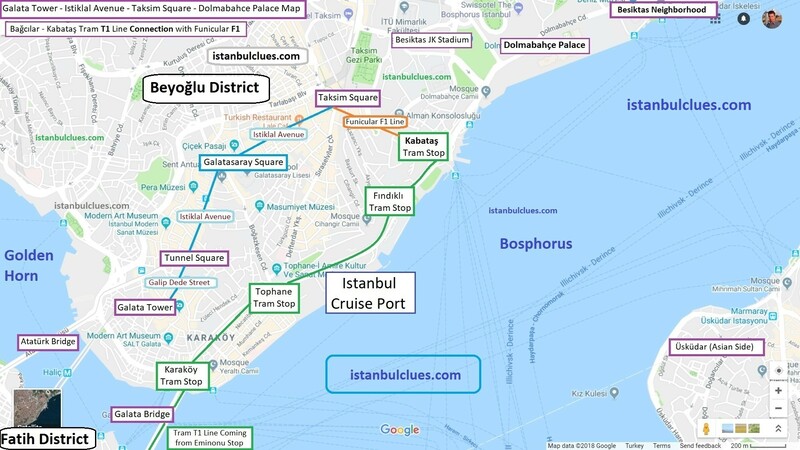 How To Get Dolmabahce Palace from Sultanahmet Old City? Please check Istanbul Tram T1 article for more information about using the tram.